About 15 years ago I started crewing on a yacht called Natural Magic. My Mum had a friend and his flatmate Craig crewed on this yacht. Mum mentioned to him that I was interested in sailing, and he suggested I come and crew on the yacht he sailed on. So I turned up to the haul out yard one day, and introduced myself. That was when I met Ivan. This is one of the ‘crossroad of your life’ type moments. Like those pick a path books I used to read as a child. Pick Natural Magic and sail off to where I am now. Don’t pic the yacht and who knows where I would be! Yes it is fair to say that Ivan Atkinson, in that first meeting in a haul out yard and in the years to follow, changed my life. 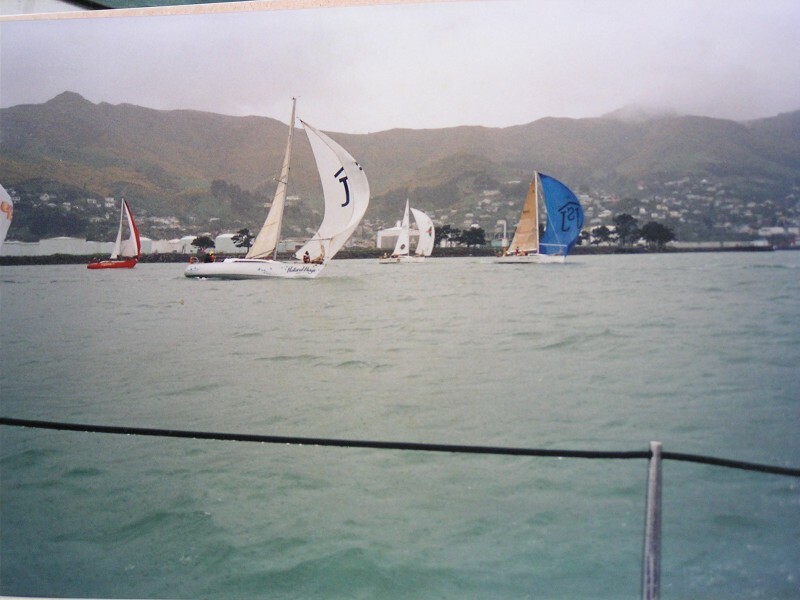 Weeks after that first meeting there was a huge storm in Lyttelton and the marina broke apart and many of the racing yachts sunk. I watched on the news – thinking that Natural Magic was probably now wrecked. But thankfully she had been delayed on her return to the water and she was fine – still in the haul out yard. I got a phone call to see if I was still keen to come sailing? This was an amazing opportunity. Ivan is an excellent skipper. Never once did he raise his voice on that yacht. He was patient with new crew members like me, and I was committed! I turned up every Wednesday night twilight race and every Saturday and Sunday as well. I would go up the mast to retrieve halyards, and dive over the side to clean the hull. I absolutely loved it! I made some fantastic friends in that time, and they are some of my closest friends still to this day – Ivan (of course) Vic, Pagey, Vaughan, Amy, Nick, Phoebe, Jakub, Karen, Nicci, Craig, Dean & Rachel. 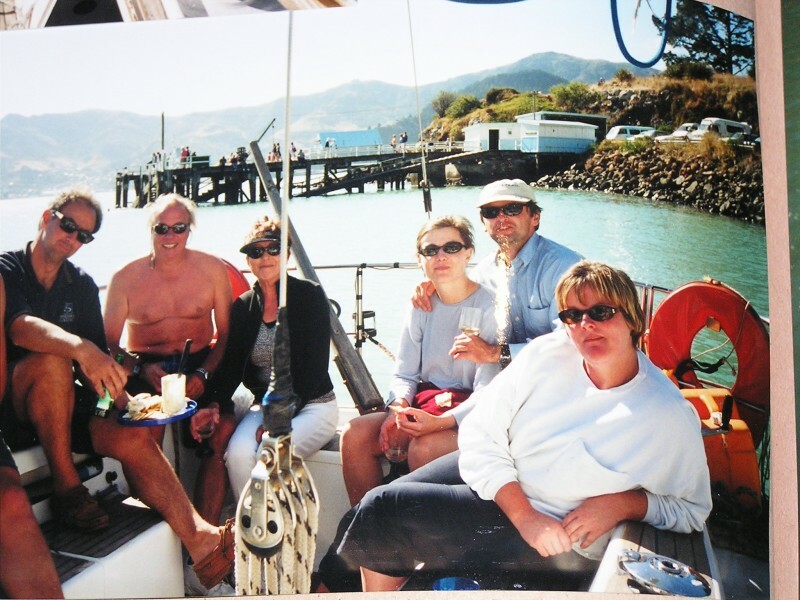 We had some great times together on Natural Magic and then we all went on to buy our own boats too, and continue to have fun together to this day. We also won lots of races! Poor Erin (Ivan’s wife) would curse how many trophies we won because she would have to find a mantle to put them on, and then dust and polish them until the following season when we would win them all back again! Ivan was so encouraging to me when I went on to buy Wildwood. When she arrived, he lent me his marina berth. When she went back in the water for her inaugural sail – he was there with a bottle of champagne and helped me rig her all up correctly and then we took her out for a wonderful sail around the harbour. 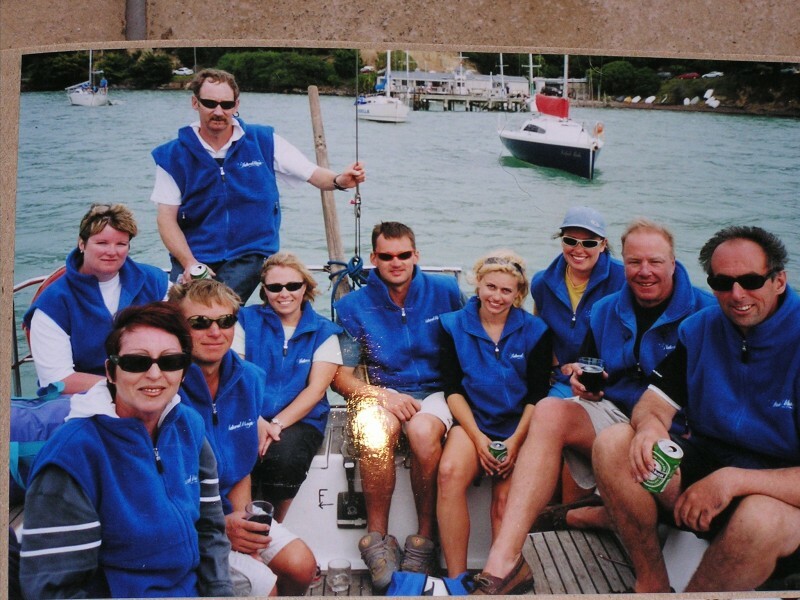 Ivan taught me everything I know about sailing and he is someone who I have tried to model my skippering on – keeping my cool, having a sense of humour, doing my best, earning the respect of my crew and most importantly having a great time! One of the best days of my life was about five years ago when Ivan called up and asked if I wanted to go skiing the following day. It was a Wednesday and one of the last days of the ski season and the first night of twilight sailing. I agreed, bunked the day off work, and Ivan picked me up on the way to the mountain. He had his friends Martin and Brian in the car too. We had an puncture on the way up the mountain, but it was a stunning day and when we got to the top of Mt Hutt ski field I remember saying “I hope I am still skiing like you guys when I am your age!” I was 35 and they were 70… they promptly all skied off at high speed – and I realised that I am going to have to lift my game somewhat! We finished up mid afternoon, and stopped on the way home to have a bottle of red wine and some blue cheese by the Rakaia River. Then we went sailing on Wildwood in the Twilight race – it was a stunning night. Ivan was on the helm and we won the race!! It was such a brilliant day, skiing and sailing in the same day, and I was supposed to be working! 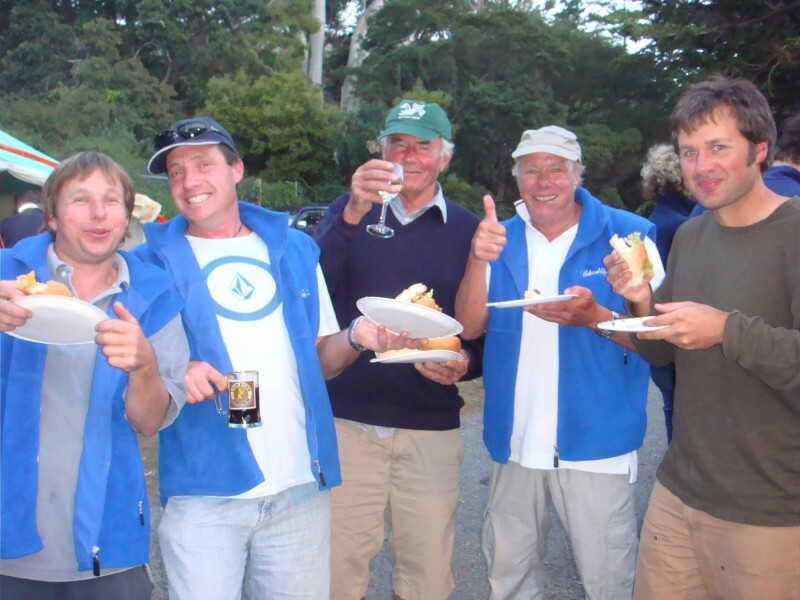 Winning the twilight race – thanks Ivan! Ivan has also got some great stories. Like the time that he was racing back from Fiji, and the yacht in front hit a whale and sunk, and Ivan had to rescue the people from the yacht who were in a life raft surrounded by sharks eating the injured whale… I loved that story! Ahhh there are so many more stories of fun times on Natural Magic. I will have to think them all up and add them on. Pagey even reckoned there was a ghost in the V berth…! She has recently been all refurbished and is now back in the water looking all brand new! So in summary, I just wanted to say a huge THANK YOU! to Ivan. You are my hero, idol and sensei. I think you are the most amazing sailor and such a wonderful person. You taught me how to sail and encouraged me to buy my yacht. Through you I met some of my best friends, and we have shared so many fun times over the years. Ivan – I think you are the best! What can I say thanks for being part of the journey . I am reading this in Buenos Aires having a break will catch up when home. Like you Viki I found a wonderful skipper who became such a good friend who taught me what I now know. Actually he taught me a lot more that I have forgotten. People like Ivan and my skipper leave a lasting impression and legacy that I hope we can pass on to others and encourage them into one of the best sports and lifestyles there is. Sailing is not about the destination. It is about getting there and meeting wonderful people on the way.